The exhibition Beauty and virtue. English collection of classic art. Siglo xviii exhibits pieces that were gathered by the English young people in the Grand Tour , preserved by their descendants and that today are part of the collections of the national museums of Liverpool: World Museum, Walker Art Gallery and Lady Lever Art Gallery, as well as Castle Howard and the British Museum. As a complement to these collections never before shown in our territory, incorporates pieces from the Old Academy of San Carlos, the National Museum of World Cultures and the Soumaya Museum, to highlight the values of the Roman Republic as an emblem of political ideals of the England of the 1700s. 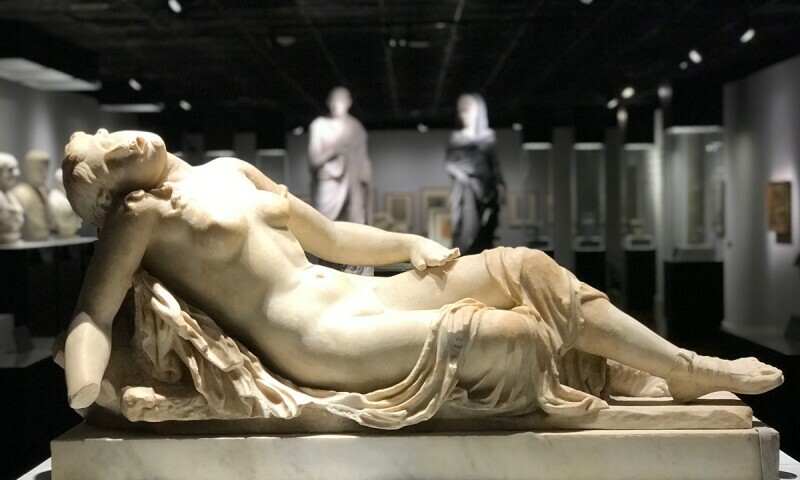 The exhibition is integrated by four thematic nuclei: "The Great Tour", in which the trips that the nobles to Italy were approached, where they were familiarized with the classic art and acquired some works; "The organization of collections", which refers to galleries and private catalogs; "Models of virtue", which exposes how classical culture permeated the social and intellectual structure of Great Britain; and "Sentimiento sobre la razón", a paragraph that refers to the last years of the eighteenth century , when the Industrial and French Revolutions took place, and the class struggle that was reflected in art with romanticism appeared. Av. Paseo de la Reforma y Calzada Gandhi s/n Col. Chapultepec Polanco. Del.